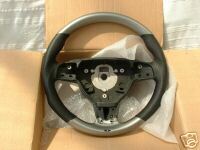 I have a brand new Irmscher steering wheel up for grabs. Boxed and ready to go with fitting instructions. Retails at well over £400 from Irmscher, doing it for £210 delivered. Irmscher part number i 71 18 152. Do you have a piccie mate? heres the one showing that part number. The wheel is now sold. Have you fitted these yourself mate? I'd be scared to mess with the airbag. Let me know when you get another mate, please. I'll pop over again to your place to pick it up if that's OK.
'Alu' for me then mate. Thanks. 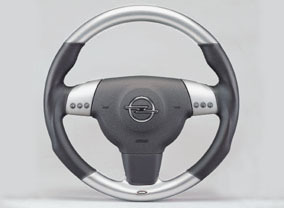 I can e-mail you a PDF showing the procedure for removing the airbag and wheel, if you do want to give it a go yourself?